If you’re crazy about Sous Vide cooking but scared of the ‘complexity’ involved, Gourmia’s Immersion Sous Vide Pod is made with you in mind. 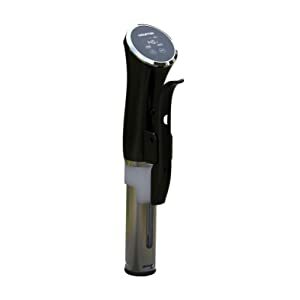 Unlike other single point immersion cookers, the Immersion Sous Vide Pod is designed for ease of use thanks to its exclusive ‘set & forget’ ACT system which uses state of the art nano-monitoring and unique 360° circulator/pump to automatically maintain the level of accurate heating needed for superior Sous Vide results. 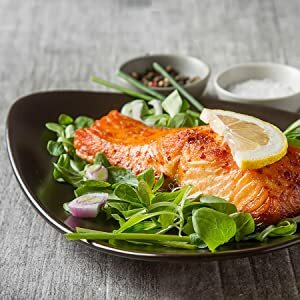 Immersion cooking creates delectable meals however you want them – from rare to well done, you will always have the perfect dish. The interface and timer allows anyone to easily monitor the temperature to keep water at an ideal temperature with a simple touch. 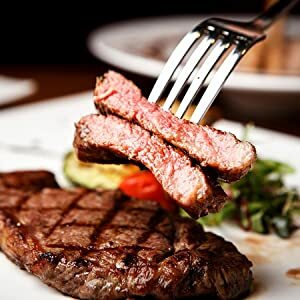 Effortlessly keep track of the quality of your meats and vegetables with the easy to follow visuals right on the pod for perfect results each time guaranteed. To experience 5 star chef quality meals in your own home, the Sous Vide Pod brings out the finest flavors in any meat, fish, or vegetables. Just use its built-in Pod Mount to attach it to most any 3-5 gallon pot, select and set the temperature with the easy-set dial and congratulations! 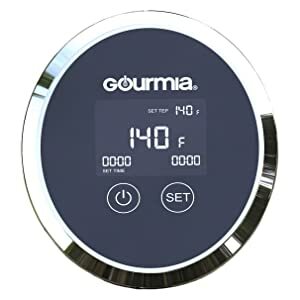 You’re now ready to enter the deliciously amazing world of Sous Vide cooking.. compliments of Gourmia!